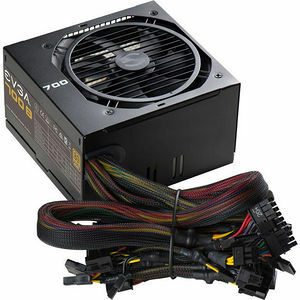 The EVGA 700B Power Supply is the best value for your next build. With 80 Plus Bronze standard, over 85% efficiency under typical loads, the EVGA 700B is a great choice. Combining 700W of continuous power make and a single +12V supporting 56A, make this the perfect power supply for a high performance system. Stay protected with a series of multiple safety protections all bundled into one!